(0 Customer Reviews) | Write Review 6 issues per year Backpass is a retro football magazine that focuses on the beautiful game in the 1960s, 1970s and 1980s … and occasionally the 1950s and 1990s too. From player interviews and unforgettable matches to programmes and obituaries … it is all in there. 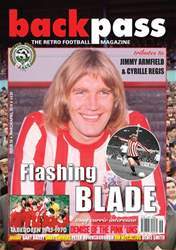 Backpass is a retro football magazine that focuses on the beautiful game in the 1960s, 1970s and 1980s … and occasionally the 1950s and 1990s too. 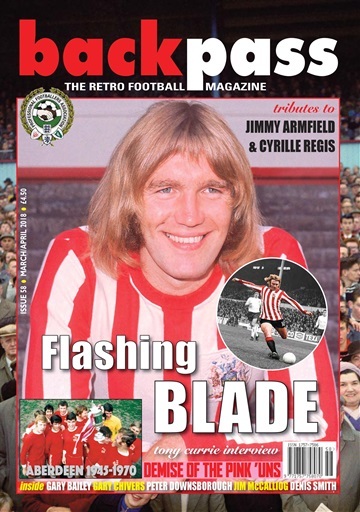 From player interviews and unforgettable matches to programmes and obituaries … it is all in there. You'll receive 6 issues during a 1 year Backpass Magazine magazine subscription. You'll receive 6 issues during a 1 year Backpass Magazine magazine print subscription.